The new BlueCielo Meridian Explorer app allows companies using BlueCielo Meridian Enterprise software to access and manage their technical asset-related engineering documentation through an app. After downloading the app, connection to the BlueCielo Meridian Explorer content repository must be created. When connected to an Explorer 2013 server, the app provides mobile access to technical asset-related engineering documentation through an easy to use interface. Sund & Baelt manages and maintains the large bridge in Denmark, for which all documentation is managed within BlueCielo Meridian Enterprise. To find out more about Sund & Baelt, read their case story on our website. Sund & Baelt’s documentation is linked to asset numbers, allowing integration with IBM Maximo. Their projects can stretch across great distances, so their maintenance workforce is equipped with iPads to find the documentation. 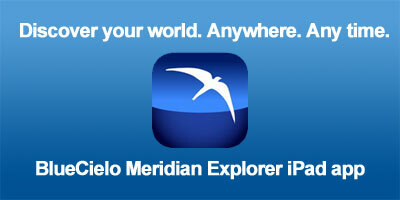 Go mobile: get the free iPad app from the Apple App store now or search "BlueCielo Meridian Explorer" in the app store.